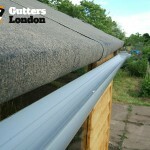 As strange as it sounds, modern-day gutters are something relatively new in the World of architecture. 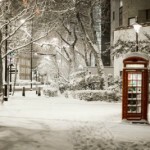 Back in the days (say, thousand years ago) they had buildings with roofs and we are pretty sure they had rain as well. 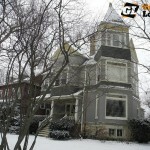 The question then is – how did they divert the water away from the building? The answer is – with style! And with a little help from the gargoyles. 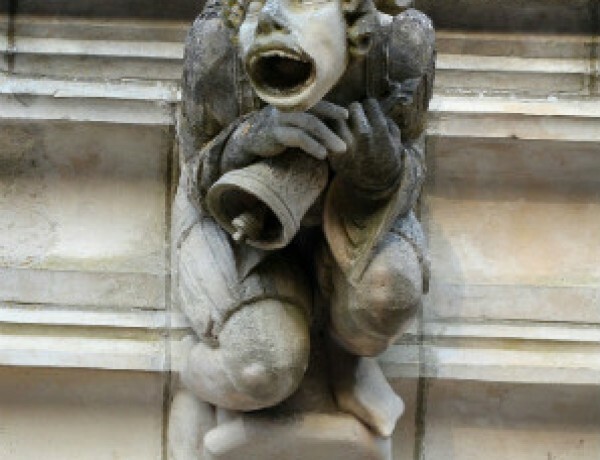 The word Gargoyle originates from the medieval French gargouille which means throat. As you probably guessed it, yes, the verb to gargle comes from that as well. Of course the French didn’t invent it. But it became really viral during XIII century France so the term stuck to it. 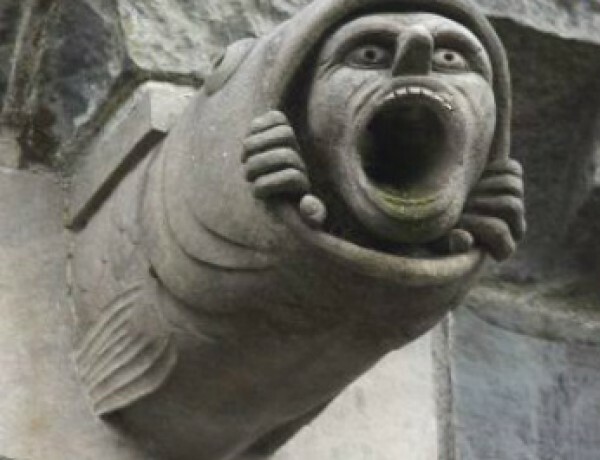 It was later used for any animal-resembling statue that functioned as a waterspout. 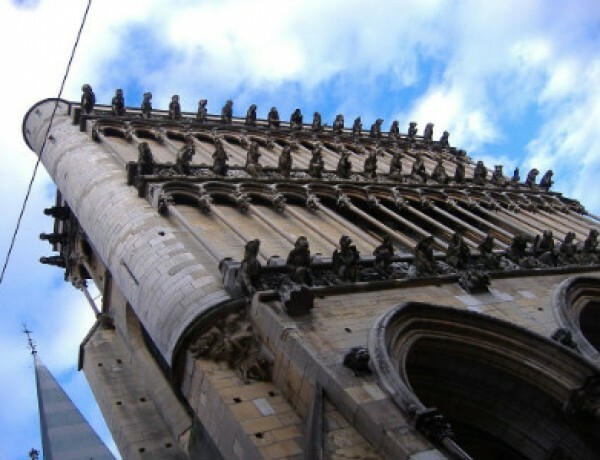 They were built heavily during the Gothic era, but some modern buildings are still being constructed with such elements. 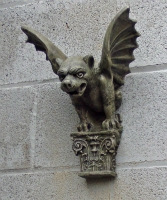 Gargoyles, in their essence, are an artistic waterspout made by stone or marble that decorates a construction. 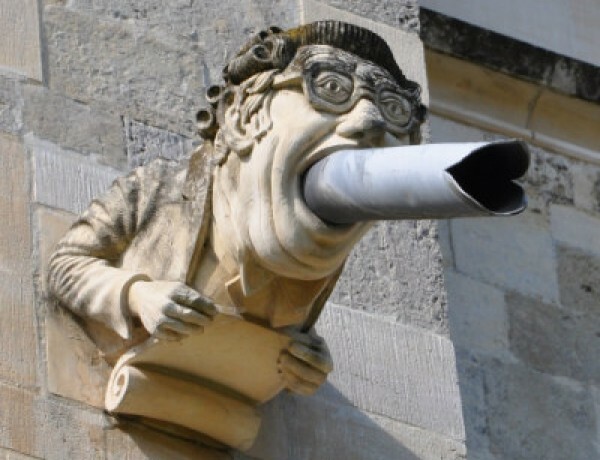 They have a pipe going through their buttress and, in most cases, coming out of their widely open mouths. 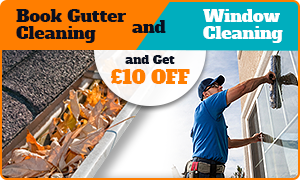 It serves to direct the rainwater from the roof away from the masonry walls. 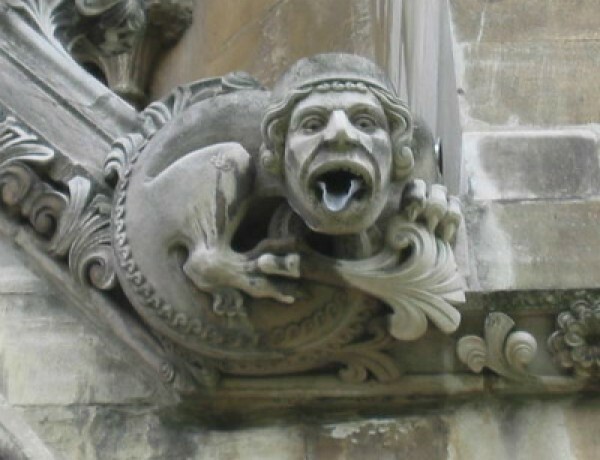 If you see something that really resembles a gargoyle, but it doesn’t divert water, it’s called a grotesque. The grotesque has only decorative value without having any real function. 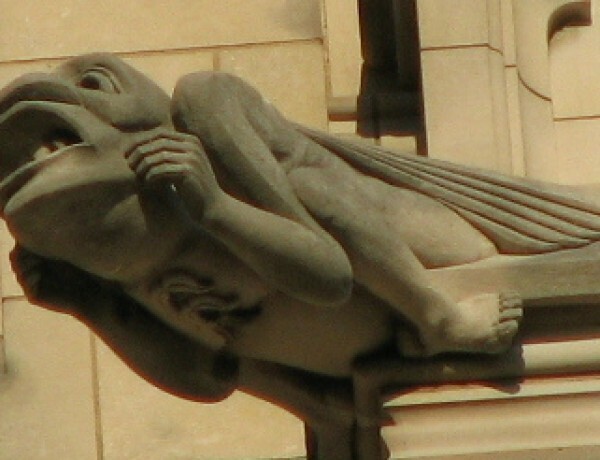 Does the word gargoyle sound stupid in French? Imagine if we called them throaters. It may sound like a local knife-wielding gang operating in the parking lot of a local McDonalds, but it actually does make sense. 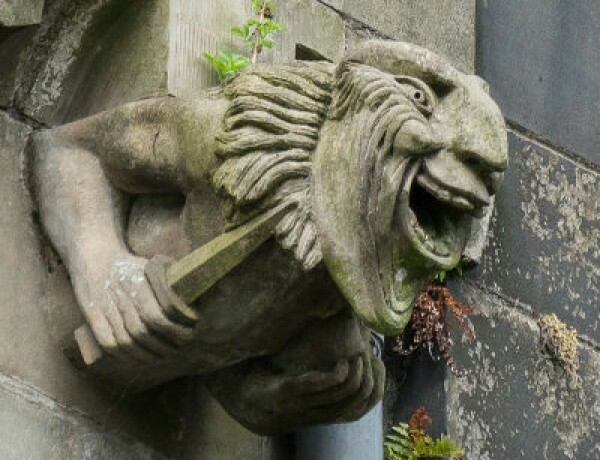 Each gargoyle’s purpose is to divert water away from buildings and protect them from erosion. 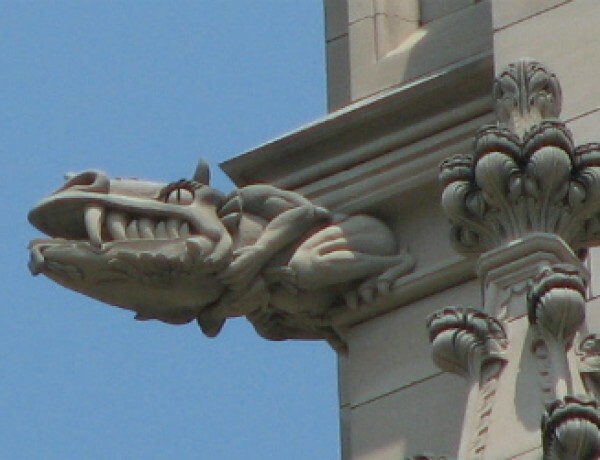 Or in other words, gargoyles are a decorative waterspout. That’s why they are elongated and have long throats. Thus, the name. 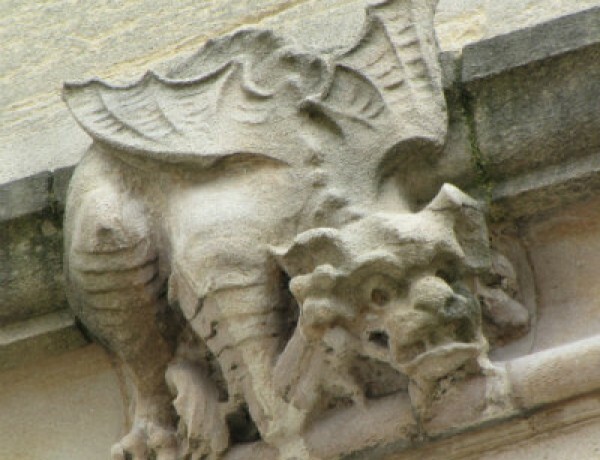 Gargoyles can be quite different from one another in shape or form. But they all share common features. They all have grotesque faces, devilish wings, long claws and overall evil look. 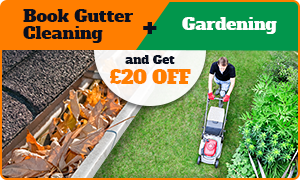 A softened version of your mother-in-law if you will. 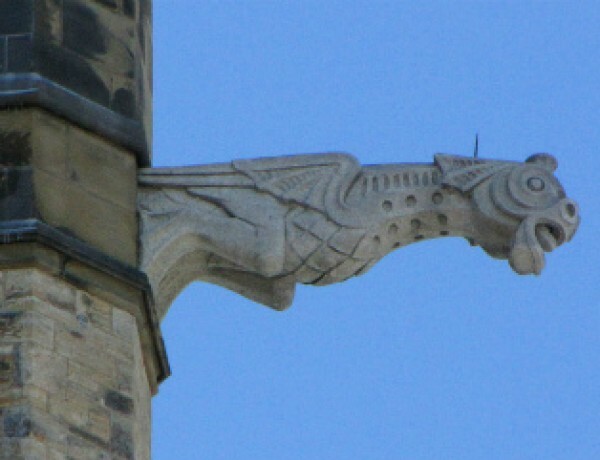 Gargoyles have another function as well. They are used not only to direct the water away from the stone walls, but for protection against evil spirits as well. 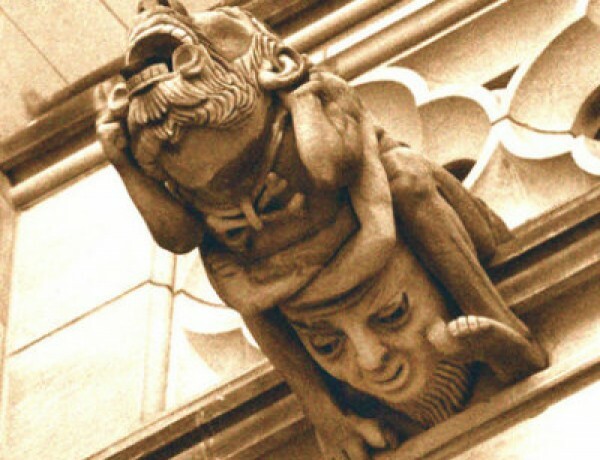 It is believed they are the guardians of the building they are installed onto and they scare any vile fiends. 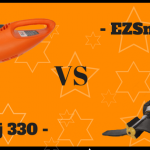 According to our experience though, even they are powerless against your favourite relatives. 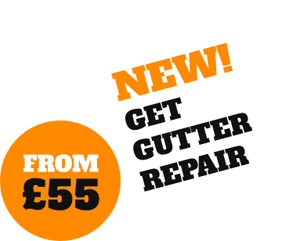 This belief came from the old French legend of St Romanus, the bishop of Rouen. 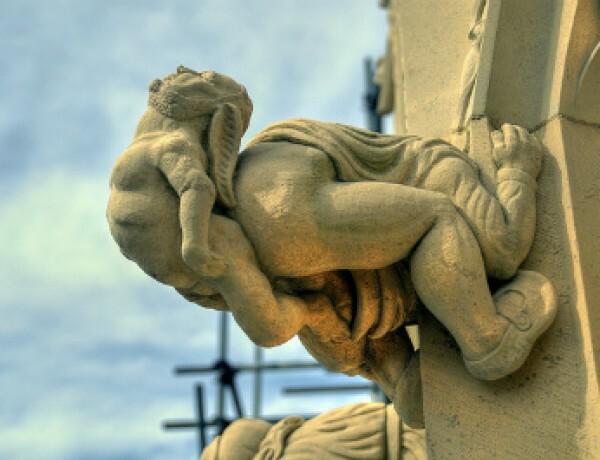 As said, gargoyles’ origin can be traced way back to ancient times. They weren’t called with the same name, but there are various remains from ancient Egypt and Greek buildings showing similar animal-themed waterspouts. The lion, regarded as the most powerful in the animal kingdom, was the most dominant shape back then. An excellent example is the Temple of Zeus with it’s 39 remaining lion-headed waterspouts. Originally they were 102, but hey, nothing lasts forever. 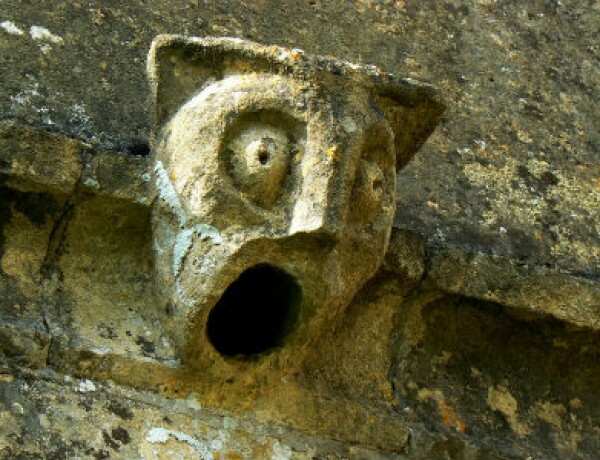 Then, when the French decided to implement gargoyles heavily in their architecture things got a bit weird. 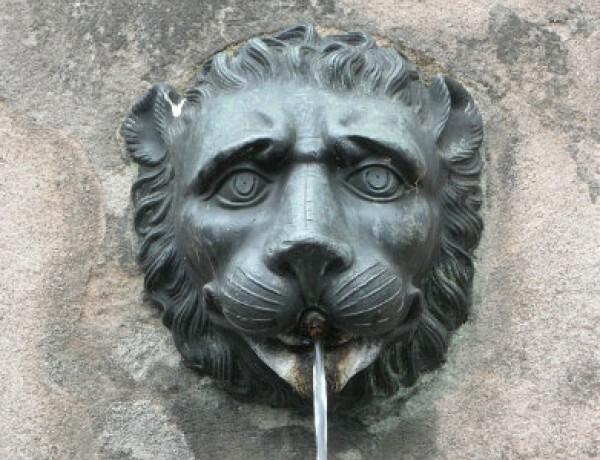 The traditional lions were replaced with more grotesque and vile creatures. 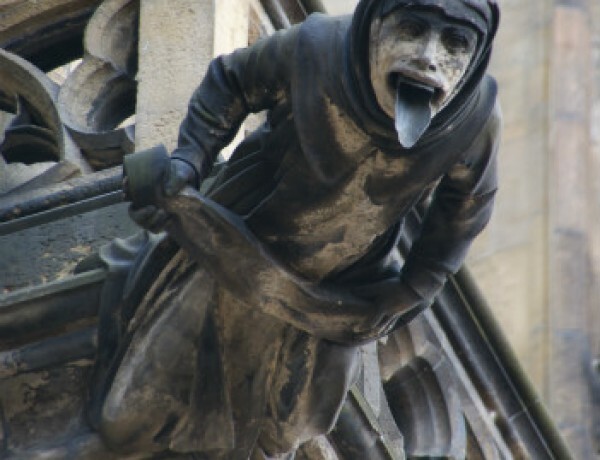 Snarling faces with long tongues, twisted half-man, half-bear, half-pigs, and other perversions started appearing on churches and cathedrals. Because what better place to express your medieval fetishes than the holy temple you go to pray at. 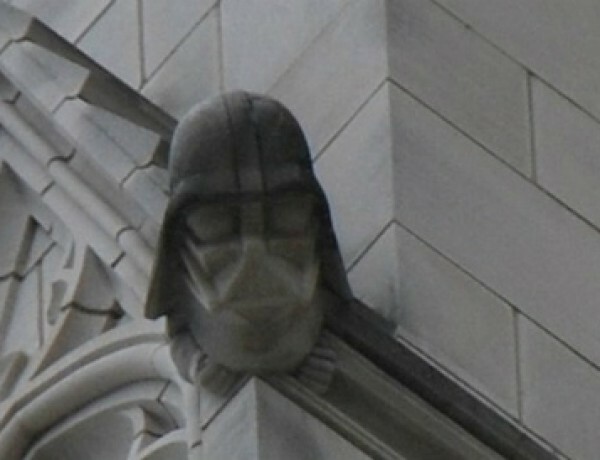 As years passed by, Gothic was gradually replaced with more modern, gargoyle-intolerant architecture styles. 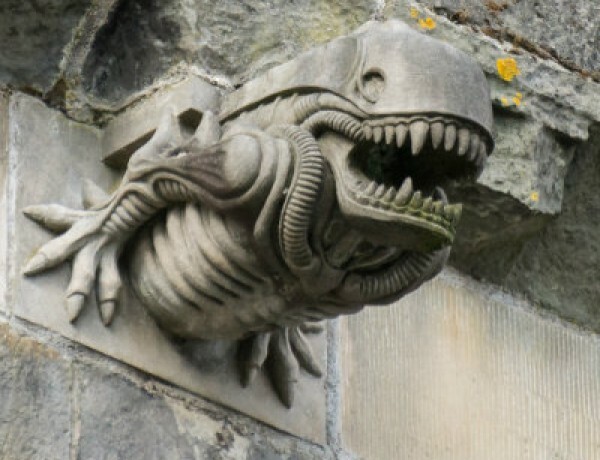 But every now and then a building with ugly looking creatures would pop-out. 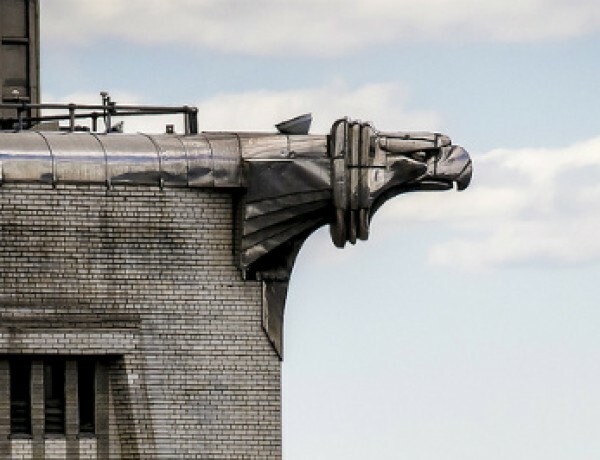 And naturally, gargoyles evolved to reflect the morals and icons of the new times. 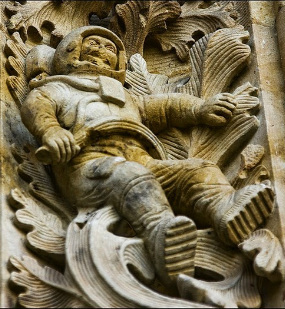 Now days there are gargoyles in the form of cosmonauts, aliens and even Darth Vader. They are integrated in our culture, they are referred to in films, TV shows, games. 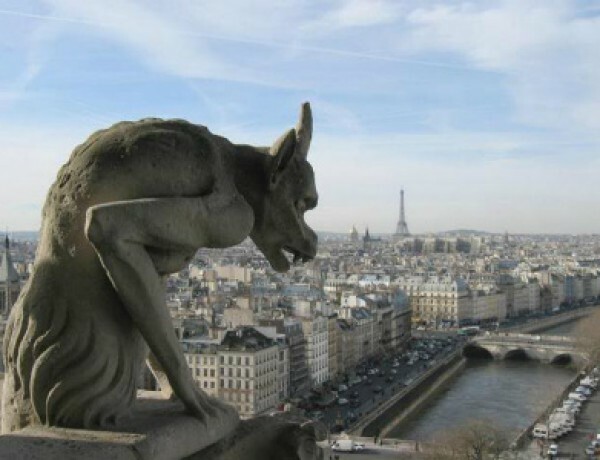 The list of the most famous buildings with gargoyles frowning above us includes the Chrysler Building in NY, the Notre Dame Cathedral in Paris, the Ulmer Munster in Germany, the Merton Chapel College in Oxford and many, many more. As technology progressed, we became more boring and effective and little by little we replaced the beautiful with the practical. 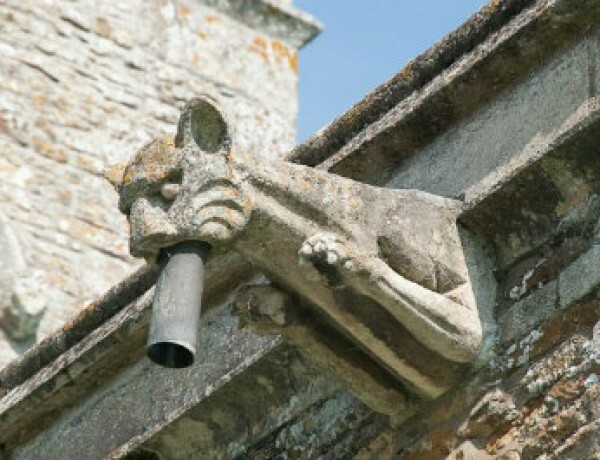 That’s why today we have regular plastic gutters and downspouts instead of the noble stone creatures of the Medieval era. Some were cute, other were majestic, third were really, really weird and some … well you better see for yourself. I am your .. cousin? 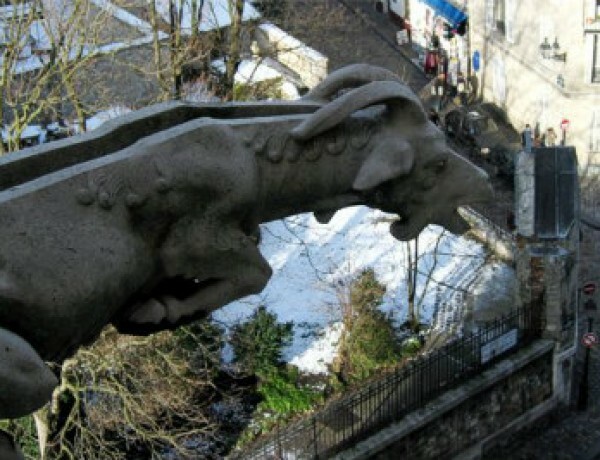 This is an awesome article, I loved the Legend of the Gargouille! You’re so right that in modern times we often don’t aim to make things beautiful anymore when creating practical stuff, and even though the grotesque are supposed to be “grotesque”, they are so gorgeous at the same time. 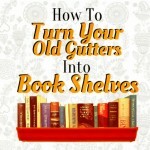 And the links list at the end is such a great resource. Thank you!